Snakes on a plane? Nope, meet Google Maps version of Snakes on a train! Err... a map. 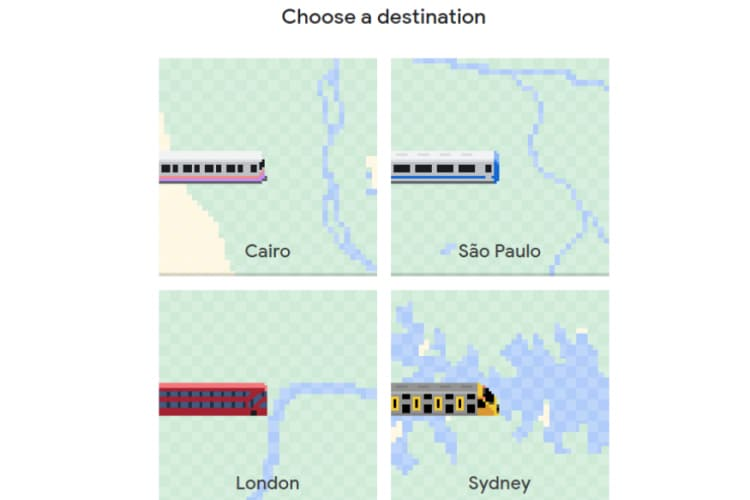 A snake train, on Google Maps, to be more specific. Remember the era before the Internet where games were limited to offline ones? Before PUBG and Clash of Clans came into existence, the game you would spend hours on your phone on a different kind of game - Snake! Snake would often be the first option under the 'Games' when you looked for it on your phone, by manually scrolling there, using your keys. The 'search' option and touch-screen also didn't exist then. Compared to the current games they simply don't compare - but those games were so terribly simple and so basic. A snake follows its 'food' around, and tries not to run into walls was probably more addictive than winning chicken dinner was. But that nostalgia you've been feeling about the game, doesn't have to be just nostalgia! As part of April Fools' 2018, Google Maps lets you play Snake again - only this time, it's real time and on Google Maps. There are several destinations which you get to choose from to play, or your general location. How do you play? Simply go open the 'Google Maps' App on your phone and click the top left hand corner to play. Snake on Google Maps is now available on Android and iOS, and will be live in the app for about a week. Still think you're back to your old ways and probably cant get enough of it in just a week? Don't worry, Google's got you covered with a stand-alone site, much after April Fool's day will be over.